Nocatee is now home to nearly 7,000 families— from growing families and young professionals to empty-nesters and retirees. It is a coastal community of neighborhoods with varied home-styles and something for every walk of life. 1. Health St. Johns County was recently found, for the eighth consecutive year, by Robert Wood Johnson Foundation and the University of Wisconsin Population Health Institute to be the healthiest county in the state of Florida. Miles of Greenway Trails, an Intracoastal kayak and paddle sports launch, the Nocatee Swim Club and more, all make it EASY for Nocatee residents to maintain a vibrant, healthy lifestyle. 2. 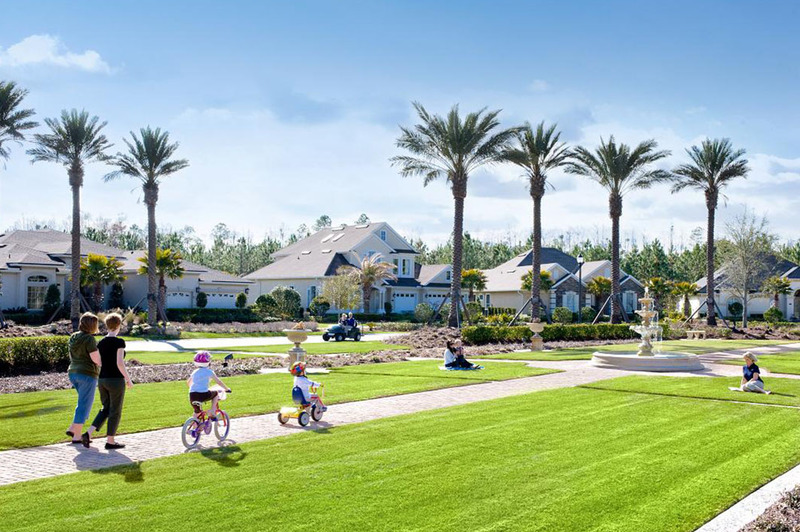 Amenities Nocatee is home to a variety of world-class amenities. The newest Nocatee amenity, Nocatee Spray Park, features a four-story above ground interactive spray playground, the tallest of it's kind in Northeast Florida. It also includes its own bar & grill, playground, outdoor seating area, and event lawn. 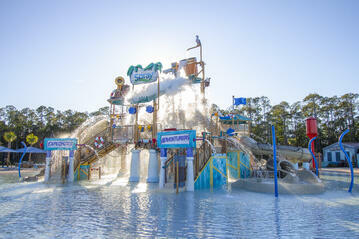 Nocatee also includes Splash Water Park a resident exclusive amenity that features its own tiki bar, outdoor dining, a lazy river, ample deck space, the tallest slide tower in Northeast Florida and much more. Alongside Nocatee’s impressive aquatic features, families enjoy several dog parks, acres of nature trails, electric vehicle pathways (Nocatee was the region’s first planned community to be Electric Vehicle (EV) approved), neighborhood parks, fitness club, the Nocatee Preserve and the Nocatee Landing and many other outdoor pursuits. With amenities like these, residents never want to go out of town! 3. Home Value The Nocatee community is located within one of the wealthiest zip codes on the First Coast. A 2015 study spotlighted the top ten most affluent zip codes in Northeast Florida, including Nocatee’s 32081. This not only speaks for the quality of life, but the value of homes and real estate within and surrounding the flourishing community. 4. Location Nocatee's location cannot be beat. Families living in Nocatee’s Town Center neighborhoods are only 10 minutes from the heart of Ponte Vedra Beach and miles of scenic coastline. Nocatee families also enjoy being less than 25 minutes from the nation's oldest city, St. Augustine. Nocatee’s charming and historic neighbor is a favorite day-trip destination for a variety of residents. Downtown Jacksonville is also a quick drive, as well as Jacksonville Beach. No matter where you are headed, Nocatee is centrally located to the very best that the First Coast has to offer! 5. 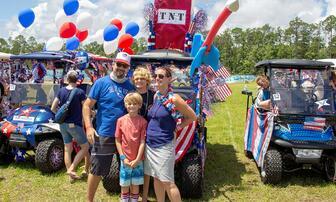 Social Calendar Nocatee is full of wonderful events and activities. Large farmers markets, cooking classes, food truck nights, and drive-in movies are just a sampling of resident favorites. Along with family-friendly events, there are also those designed specifically for kids, teens, ladies, adults and singles. Additionally, Nocatee has resident-led clubs and interest groups. Surf Club, Cycling Club and the Boating & Fishing Club are just a few of the groups that encourage comradery amongst neighbors. It’s the strong sense of community felt at these well-attended community events and gatherings that residents cherish. To learn about new homes in Nocatee, explore www.Nocatee.com or stop by the Nocatee Welcome Center.